DEFENDERbyKarpel is a browser-based case management system that utilizes an easy to use graphical user interface. The program allows you to use almost any device, anywhere, including the Cloud. Built with the latest Microsoft and SQL technologies, DEFENDERbyKarpel will streamline your daily tasks with built-in workflows and collaboration features that will save you time and simplify your daily workload. 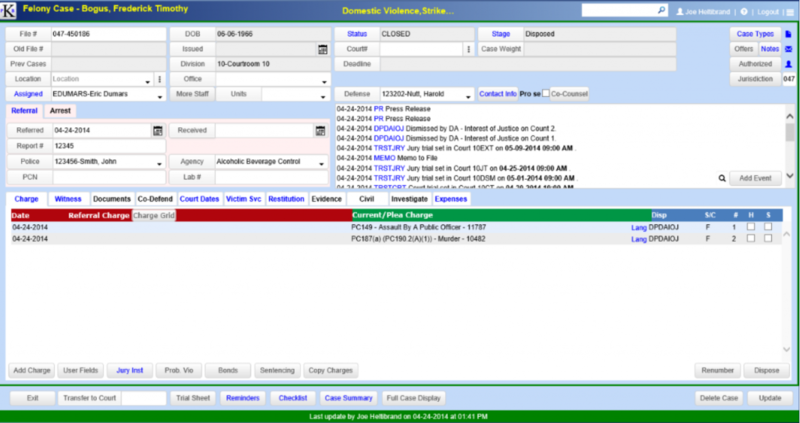 The Case Information screen allows end users the ability to view all case related information in ONE, non-scrolling screen. Our Case Management System can be easily configured to enhance the specific needs of your office.